Salem is located 16 miles north of Boston, and is a convenient 30 minute drive. Take Rte. 128 North, Exit 25A and follow Rte. 114 East. 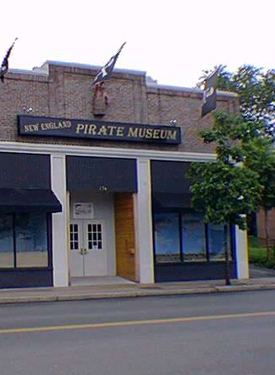 In Salem, follow signs to Waterfront, and The New England Pirate Museum. Next to the Salem Beer Works, across from Pickering Wharf. A 5 Minute Walk from Salem Train Depot. Take Rt. 1A N. and at the Salem border, follow tri-color signs.